HomeRubber Bracelet WristbandsAdult Size 8" Awareness WristbandsPeriwinkle Hope Courage Faith Rubber Wristband - Adult 8"
Fantastic Customer Service...They really do care!! On Wednesday the night before Thanksgiving 2014, I ordered 50 Periwinkle bracelets. I added a note in the comment section to please send immediately for a funeral that Sunday at 2PM. I got a call on Black Friday morning, from Support Store concerned that the bracelets may not arrive until Monday, due to the holiday delays, even with paying the cost to overnighting it to arrive sometime on Saturday, but they would do their best. Well around 11:30AM on Saturday morning, just as I was checking the front door, I missed a call from Support Store. The bracelets had arrived. I listened to their voice mail, which was them apologizing for not being able to get the bracelet to me in time. Well, I quickly called them back, with tears in my eyes, to say that I did get them and to let them know how much I appreciated them. 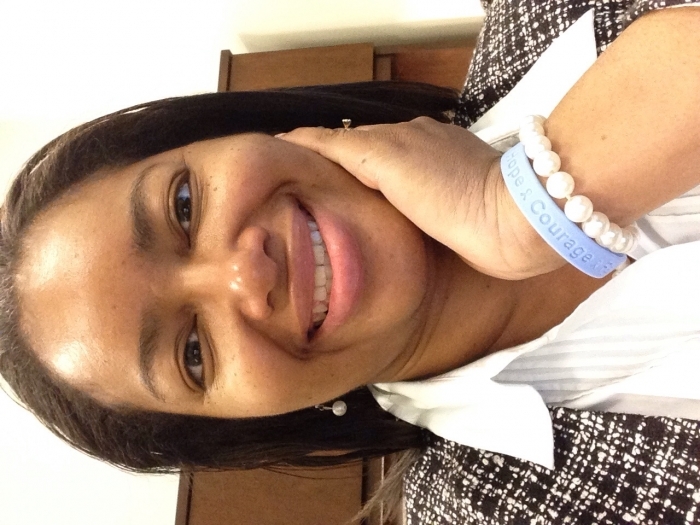 The Periwinkle-Stomach Cancer Awareness bracelets were the one thing my cousin asked for family and friends to wear, as we laid her Mother (my Aunt) to rest that Sunday. I was determined to get them and to honor my Aunt. In her battle with Stomach Cancer, my Aunt lived and demonstrated all of the words printed on the bracelets: Hope, Courage and Faith! I thank you, Support Service!!!! The bands are a nice medium weight and fit all the men and women we distributed them to. I received them very quickly; 2 days after placing the order. The bands are individually wrapped. Everyone agreed these are a tasteful reminder of the loved one we are supporting. Folks are very pleased with these we even had to purchase the youth size for the ladies with small wrist. Just wish there were others sayings in the Periwinkle. Over all very pleased. Best UsesJust wish you also had on that had the saying Together We Will Find A Cure with the ribbon on the end also in the Periwinkle. I have looked every where with no luck. Our friend had one and we don't know where she bought it but we can't find them. And I don't want to buy 500 to customize my own. Thank you for the periwinkle wristbands!! These were ordered as part of a celebration of life. Sadly, a dear friend lost her son at age 19. He struggled with obesity his whole life. 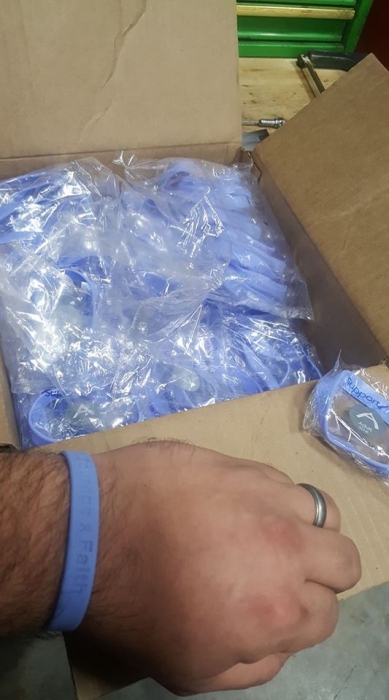 She wanted these wristbands there to raise awareness, and to encourage everyone to let her son's legacy be to beat their addictions. 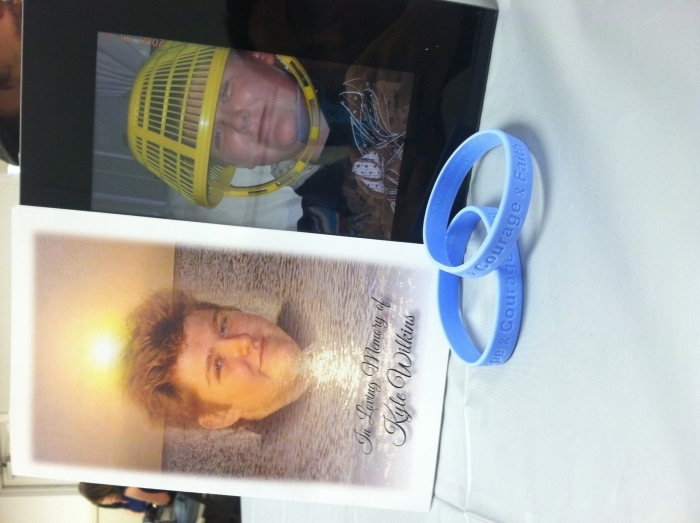 The wristbands stating faith, hope and courage, were exactly what the room needed in the moment. They were shipped accurately, arrived on time, were more than affordable, and most importantly helped my friend in her time of sorrow. My only suggestion would be to see if it is possible to have bands for each eating disorder.